The world of Search Engine Marketing (SEM) is always changing. From new features to updates to hot new trends, keeping up with the latest pay-per-click (PPC) advancements can be overwhelming and time-consuming. The first update is rather straightforward — Google has simply changed the name of its PPC online ad service from AdWords to Google Ads. Google has said that the look and feel will change slightly but core functionality will remain the same. At a fundamental level though, the name change reflects the overall move of online search away from text and toward image, video and voice search. Google Ads will be the one storefront for advertisers to buy space across Google’s platforms including Google Maps, Google Play and YouTube videos. Google has also said it will be launching the Google Marketing Platform, which will combine DoubleClick Digital Marketing and Google Analytics 360 into one platform that will also include a new product called Display & Video 360, which brings features from DoubleClick Bid Manager, Campaign Manager, Studio and Audience Center into one space. At a minimum, these changes should streamline ad creation and analytics for marketers, which is a good thing. Marketers seem to indicate that preparing Google Ads (aka Google AdWords) reports takes up a significant amount of their time; a script from columnist Frederick Vallaeys may help cut down that time by providing a free tool that enables you to put any AdWords data you want into a Google Sheet. The less time you spend preparing reports, the more time you can spend analyzing and optimizing your campaigns, so Vallaeys’ tool is worth a look. Another tweak that came to AdWords in March is the ability to now add notes to the Google Ads interface. As Search Engine Land reported, notes are now available at the account, campaign and ad group levels. Simply click on a point in the chart, click “Add Note” and type the note you want to create. Finally, it’s worth noting that Google now allows you to use Google Optimize integration to test changes to landing pages and discover new layouts or messaging that could improve the performance of your Google Ads campaigns. With Google Optimize, you can create and deploy experiments to find changes to your landing pages that make them convert better. What may be even more important than these Google AdWords updates are the trends happening in the world of search engine marketing. These trends are helping PPC managers work smarter not harder, and include both advanced searches and improved targeting. Below we’ve outlined the top three trends you need to learn and implement this year to boost your ROI and give consumers the best user experience possible. These devices and the voice search that powers them is our future. It’s predicted that by 2020, more than 50% of all searches will be driven by voice search. Brainstorm keywords that have a higher intent, such as “marketing agency specializing in research,” as opposed to, “marketing agency Omaha.” The previous search indicates the user is in need of something specific and communicates urgency, making it more likely to perform well. There’s no denying the power that search marketing and social media have independently as platforms. After all, they are very different. Search is intended to reach customers who have intent and are on a quest to find an answer to their question, whether that be a product or service; social pushes highly targeted messages to a predetermined audience. Interestingly, it’s what the two can do together that make them the most effective. No longer are the two thought of as separate entities. Rather, both essential to a running a successful marketing campaign. Today, the path to conversion is highly fragmented. No two consumers find and buy your product or service the same way. Depending on your buying life cycle, it could take days, weeks or months and the buyer journey may include multiple touch points across several different channels. It’s because of this, that combining search AND social efforts are necessary. You need to be where your consumers are. Even more importantly, your message needs to be focused on that consumer. In a recent study by Marin Software, users who clicked both an advertiser’s search and social ads had an approximately two times greater conversion rate than users who clicked the search ad only. So, how do we exploit the benefits of integrating both search and social? Use your best performing social posts to craft your search ads. Track ROI to see which platform is serving you better. If you get more conversions from social, create search ads that send your consumer to your social channels. Remember, it takes multiple touch points to prompt a prospect to take an action, so why wouldn’t you create those various points of contact? Use search queries to inform your social ad copy and targeting, including similar interests and behaviors. Review your search query and see what people are searching for. Then use those same words and/or interests and behaviors in your targeting. For example, if your company sells health food, your search query should be filled with searches like: “the closest health food store near me,” and “grocery store with gluten-free products.” In your social campaign, include targeting interests in things like health and wellness, physical fitness and yoga; and behaviors such as: buys fresh produce, buyers of naturals and organics. Implement remarketing campaigns on both search and social channels. Create a remarketing list of users who converted from your search ads, whether it be from newsletter sign-ups, contact form submissions or purchases. Then, use that remarketing list to create a custom audience on Facebook to target those same users. For example, you could create a remarketing list of users who signed up for your newsletter, and then retarget them on Facebook with an ad asking them to view your products. You can also use custom audiences to remarket users who’ve abandoned their cart or made a purchase previously and might like a related product. You can also take lists from Facebook and use them in your Search campaign. Users who have viewed your ads are put into a View Through List (VTR list), which can be uploaded to your AdWords campaign and called a Remarketing List for Search Ads (RLSA). You can use the data (location, age, gender, etc.) from the list to target those same users with a different message on search. Gone are the days of targeting users only by keywords. 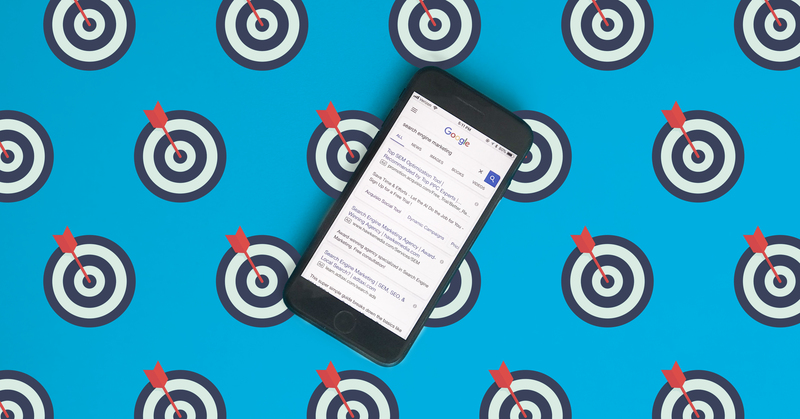 You’ve seen the expansion already in the addition of Google’s Remarketing Lists for Search Ads, Customer Match lists and Similar Audiences for Search. Now marketers can target their audience by demographics and most recently based on life events. So what’s next? Google has plans to target users based on behavior, such as a user visiting stores or restaurants frequently, and also by targeting in-market audiences, which are users that are “in-the-market” or those who have been researching and comparing products or services to buy. This type of targeting will change they way marketers message to their audiences. Talk about personalization! Trying to keep up with the ever-changing world of search engine marketing can feel like a full-time job….because it is one! 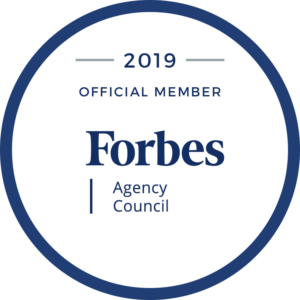 The digital specialists at OBI Creative focus on keeping up to date on all of the changes in search and social trends so they can craft the most effective campaigns for our clients. If you’re ready to put your SEM efforts into overdrive and your focus back on growing your business, reach out to OBI Creative today.